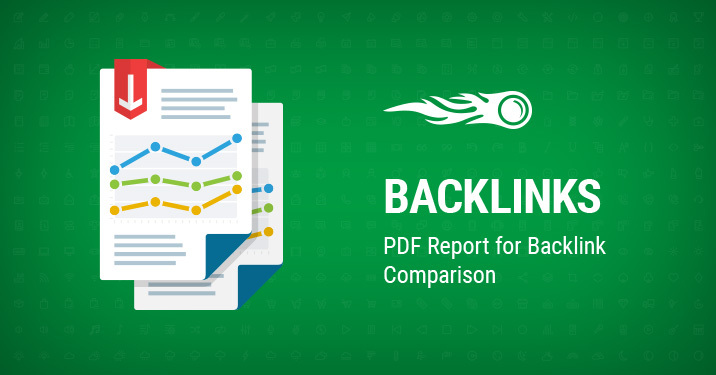 We're pretty sure that you’ve already benefited from our extremely helpful Backlink Comparison feature in the Backlinks Overview report. It’s time to make the report even more convenient. You can now export this data into a PDF report. Previously you could only add widgets for one domain to your report, now it’s possible to add up to five of them. Now, at the end of the year, this might be very useful if you need to analyze and demonstrate the highs and lows of your domain, and compare them to competitors’ performance. It’s also easy to monitor your progress by establishing a mailing list. Create your PDF in a heartbeat by clicking on the button in the Overview report. Soon you will be able to add the Backlink Comparison widgets directly from the My reports service. Do you like this update? What else would you like to see in your PDF reports? Don’t hesitate to share your ideas, comments and suggestions by emailing us at [email protected].